The chemical formula of this compound is Sb2O3. It has some more trade names. CAS No of this compound is 1309-64-4. Its structure depends on the temperature of sample. Under high temperature (1560°C), dimeric Sb4O6 is noted. Sb4O6 molecules appear as bicyclic cages similar to that of related oxides of phosphorus (III) and phosphorus trioxide. The cage structure is maintained in crystallized solid in a cubic habit. Distance between Sb-O is 197.7 pm with an O-Sb-O angle of 95.6°. Below 606 °C, the more stable type is orthorhombic that includes pairs of Sb-O chains linked by oxide bridges between the Stibium centers. The compound has a dipole moment of zero. The density of this compound is 5.7 (g cm-3). Vapor density of this inorganic compound is 10 (air = 1). Boiling point of Antimony Trioxide is 1425°C. Melting point of Antimony Trioxide is 655°C. It is only with hydrolysis that this substance becomes soluble in aqueous solutions: typical of most other polymeric oxides. It is marginally soluble in water. It is used as a pigment for other antimony compounds. It is used as an ingredient in fire retardant paints. Paint manufacturers use it as a white pigment. It is also with other substances to produce yellow pigments. This chemical is used in fire-retardant composition of plastics, paper, textiles and rubbers. Glass and ceramic producers use it as an improver. Glass manufacturers use it to remove bubbles (degasser) and as a fining agent. 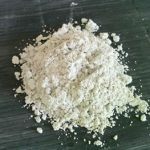 It is used as an opacifier in porcelain and enameling products. It is used to improve functioning of halogenated flame-retardants by sequentially freeing halogenated radicals to slow down gas phase chain reaction of flames dispersed. 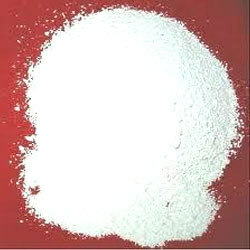 In Titanium Dioxide preparation, it is used as a flocculant. Its refractive index is 2.087 (nD). Strength of its izod effect and translucency are two chief features that are reduced because of the size of particle and color strength of antimony trioxide. Reduction in translucency restricts choice of accessible color due to high loading needed to counterbalance the pigmentation of Antimony Trioxide. Synergy between antimony and halogenated flame-retardants is well exploited in flame-retarding thermoplastics. Other related compounds are Diantimony Tetraoxide and Antimony Pentoxide. This is a stable compound and does not react with strong reducing agents. While dealing with this substance, care should be taken because of its toxic effect. If inhaled, ingested, or absorbed through skin, this substance can have damaging effects. Exposure to this chemical is suspected of causing cancer, but there is little evidence of its carcinogenic effect. It is non-hazardous for air, sea, or road transportation.